We believe that each follower of Jesus is sent to be a disciple who makes disciples. Some are sent to those who live near to them, some are sent to those who are local to them and from different cultures, and others are sent to those who live far away and may be from a very different culture. We are delighted that some of the people from King’s Church have moved to other nations to make disciples of Jesus. You can discover some of their stories here. Abi and Manu Moldenhauer are our missionaries working in Madrid, Spain. When someone says the words ‘overseas missions’, most minds usually jump to places like Africa and Central/South America – ours too! In fact Abi and Manu were serving in Reynosa, a city on the Mexican side of the Mexico/USA border when God spoke to them about moving to Spain. A life of faith is one lived in obedience to the heart and direction of God, and so they packed up their things and followed the Holy Spirit to Spain. Spain has just 1.6% Evangelical Christians and a long history of being hurt by religion. We know that God’s heart breaks for this nation, and longs for them to be close to Him. Abi and Manu are pioneering a missions base with the focus of seeing the nation transformed by the love, presence and power of Jesus. Their vision is to see a generation raised up that is radically in love with God, stepping into their full identity and being equipped to reach the nation. They aim to love and serve the poor around them, plant vibrant local churches and equip others nation wide. They love to raise up leaders and see people live in the fullness of what God has for them. Their heart is that their lives and the lives of those around them will be transformed by intimacy and deep encounter with God. The Moore family (Ian, Katie, Kristen and Josiah) are missionaries in Skopje, Macedonia, sent by King’s Church. They are working alongside Oaza church in Macedonia and their priority is to raise up disciples who make disciples. They are always looking for opportunities to share the gospel with others. A key scripture for their work is Romans 1:16 “For I am not ashamed of the gospel, because it is the power of God that brings salvation to everyone who believes”. 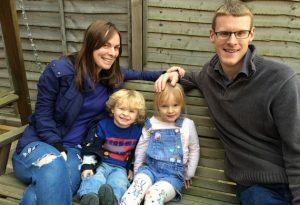 “We love seeing the gospel transform and shape people into disciples of Jesus.” The Moore’s have a passion for the church being a ‘family on mission’ – living in a way that reflects the book of Acts where there are strong bonds of relationship and accountability between members of the community, a sense of ‘doing life’ together and supporting each other to share the gospel with those we meet. They seek to work with and empower the local church to hear God’s voice and act upon what He says. Macedonia is a small country of 2 million people of which only around 3000 are Christians. The majority of the population are either Muslim or follow the Orthodox tradition. It is a challenging country to work in and there are many spiritual challenges. 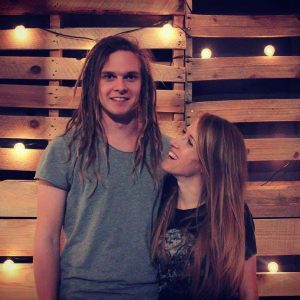 In their time so far Ian and Katie have learned that they really need to battle in prayer for Kingdom breakthrough. An important focus for them is on prayer, discipleship and evangelism. It is essential in an and Katie’s thinking that local Macedonians are involved with all that they do so that they can build something that will last. Along with the Macedonian Christians they do regular evangelism in a number of ways including street mission and ministering at a local drug rehabilitation centre. Additionally, they work alongside missionaries from other organisations who work with the Albanian population of Macedonia. They are passionate about sharing the gospel wherever they are and are always looking for opportunities to connect with the local community. Ian and Katie would love it if you would like to get in touch to find out more or even come out to visit and join in with what they are doing. If you would like to find out more please get in touch via the King’s church website or on the Elim Missions website.